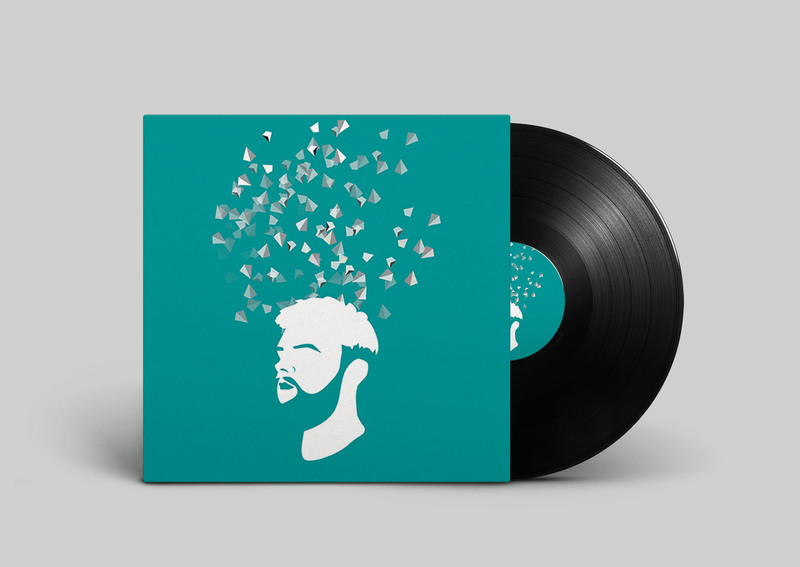 I decided to choose and create record sleeves for the Jack Garratt’s track ‘Worry’ and Chrvches ‘Clearest Blue’. Firstly listened to all the songs presented on the competitions website and after chose these two by closing my eyes and starting to imagine, try to visualise the track in my head and wether it triggered my imagination. Track’s ‘Worry’ and ‘Clearest Blue’ definitely did so! Then I got my sketchbook and started drawing what ever came to my imagination playing each song again and again, finding key words and the mood of the track. Started by making lots of sketches how I to visualise the emotion of this track. It somehow to me sounded like fun, reaching up to something, referring to the feelings song. I ended up drawing attention to the genre which is synth pop and after looking at the research of other synth pop albums throughout I found them being rich in colors and strong about the shapes. Designed cover ended looking pretty futuristic and surreal. Two synthesisers floating up with the ballons in the colourful skies. After playing around with the composition of the drawn objects I decided that the accidentally created background looked really fun and bubbly so it stayed for the final outcomes. Although none of these covered secret 7 tracks I am glad to find this fun and great competition that allows every visual communicator to explore his imagination and perceive visuals with sounds.